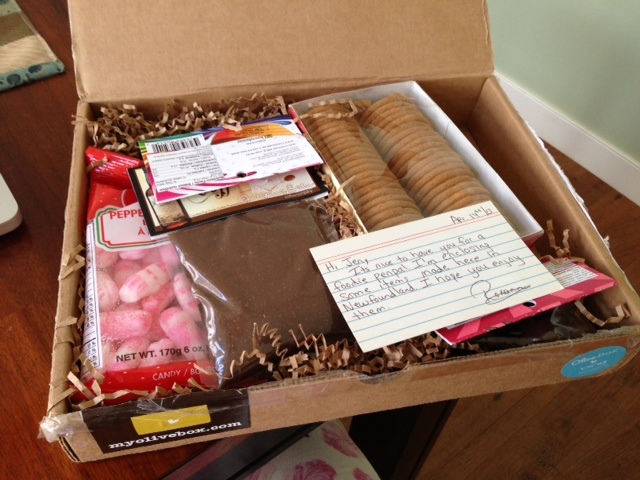 So, I participated in the Foodie Pen Pal Program again this month. Sorry, this post is going to be short and to the point since I am in a terrible frame of mind. BUT, I wanted to make sure I posted on the designated day so that I could show all of you want my pen pal this month, Roxanne, got for me! 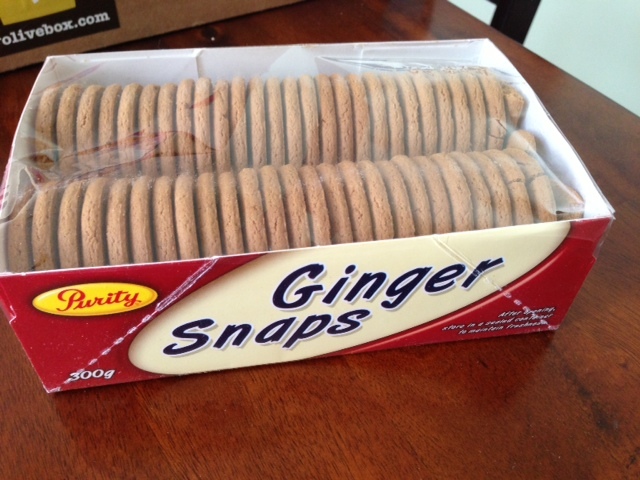 All of the treats were from Newfoundland, and I was really excited to go through everything once I opened the box! Heck, she even packaged it all pretty. 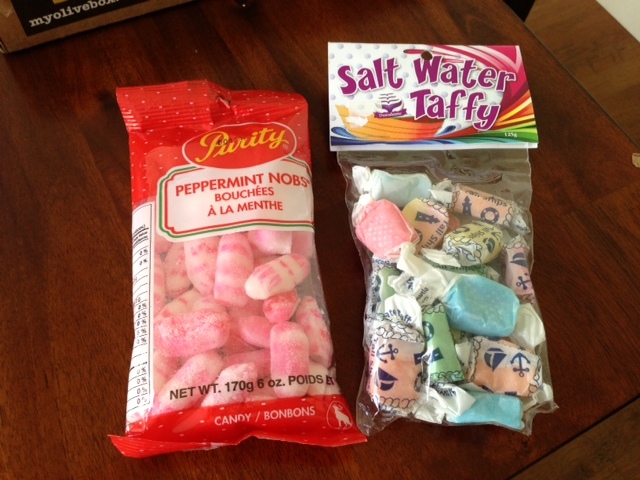 Some peppermints and salt water taffy (I had a previous foodie pen pal who was also from Newfoundland and sent me the taffy and I LOVED it) I really had to restrain myself this time by hiding the bag away once I ate a few pieces. 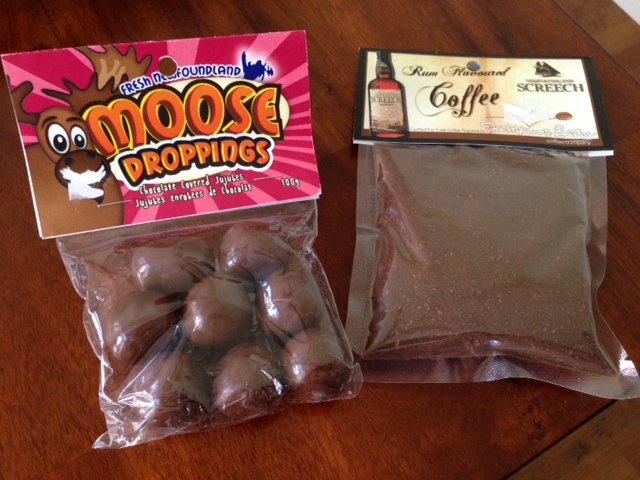 Moose Droppings (chocolate covered jujubes) and rum flavored coffee. I haven’t got into the droppings yet, but I also plan on using the coffee for future batches of baked oatmeal and/or energy balls. YUM! Thank you so much Roxanne for this month’s package! If you are interested in participating, check out all the info on Lindsay’s blog. Awesome box! 🙂 Love the look of those candies! From Newfoundland, and no Screech? You need to talk to her. Or wait, maybe they haven’t repealed those laws about hazardous substances in the mails. Carry on. Food in the mail = awesome, enough said! Getting mail packages is the best!! …thanks for sharing, I just went and signed up…looking forward to participating!